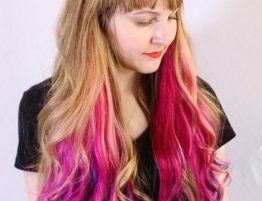 From a power blowdry to extra styling and conditioning, AK Lounge has several affordable blowout and add-on services to plump up your hair from root to tip. We also have a new selection of eyelash extension and makeup application services to try out. So stop by our salon and see how we can help you look red-carpet ready for any occasion. 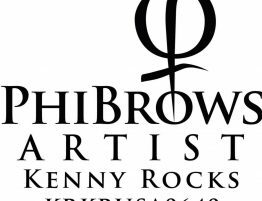 A blowout bar offers simple services like basic and styled blowouts, as well as add-ons like lovely curls, beachy waves, and straightened hair. Or you could take advantage of our upgraded services like the Olaplex treatment, Malibu Makeover, or Brazilian Split End Treatment. Whether your hair is short, medium, long, or extra long, it will be handled with care and pampered to perfection at our salon. 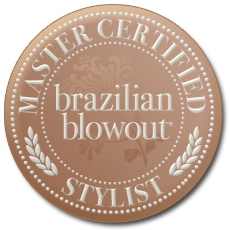 The options are as diverse as the client when it comes to getting a blowout. The basic blowout includes a blowdry with shampoo, while a styled blowout upgrades to a round brush blowdry with shampoo for added definition. Curling or straightening the hair can be included for an additional cost. 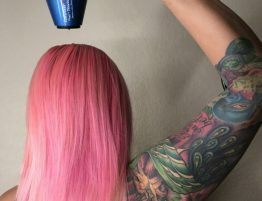 Other add-ons include an Olaplex treatment, which uses products that are guaranteed to strengthen and protect hair from the damage that coloring, straightening, brushing, and other styling techniques can cause. 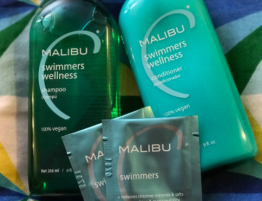 In addition, Malibu Deep Conditioning works to improve the look and feel of your hair, while a Malibu Makeover involves a crystal gel treatment to rid the hair of mineral build up followed by a deep conditioning to restore moisture. If you’re suffering from split ends and want those fixed right away, a Brazilian Split End Treatment might be just what you need. 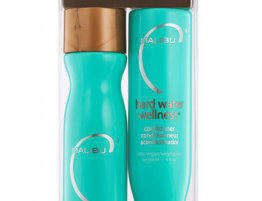 You’ll get a basic blowout with a leave-in conditioner that can quickly and effectively repair split ends. For services that deal less with styling and more with relaxation, AK Lounge also offers head, hand, and arm massages to its clients. Depending on how much time you have, you can choose from a 15 or 30 minute head massage, as well as a 15 or 30 minute hand and arm massage. A head massage can stimulate hair follicles, while a hand and arm massage can loosen up tense areas. Both are guaranteed to help you enjoy your visit even more. Our range of beauty services also extends to makeup, of course! Whether you need an eyelash extension application or a simple touch up, your eyelashes will look fierce and voluminous after just one session. You could also choose from a basic makeup application or makeup with deluxe lashes for eyes and skin that look radiant and beautiful. For more information, check out the complete list of services available at AK Lounge.